How many times have you seen a sentiment like that on a t-shirt recently? I see it all the time. While I'm happy for the woman who feels empowered wearing that shirt, I can't help but wonder if she's aware that it was likely produced by women who are being mistreated in their workplace. There's a quote floating around that says something along the lines of, "You can't empower women in one society by exploiting them in another society." I think that sums it up so well. What's the point of wearing clothes that preach empowerment if they're produced in oppression? Fortunately, there is a brand you can support that is truly empowering women in every way. Meet Our Sacred Women, a social enterprise founded on the belief in the healing power of relationships. Their mission is to cultivate meaningful connections with women and between women through the intentional gifting of specialty products that help women feel seen, valued, and honored. I can't wait to introduce you to the founder of Our Sacred Women (Eileen) on the blog soon! For now, I have to tell you about amazing the shirt she's created. Eileen has gone to great effort to ensure that every step of the product's creation are ethical and sustainable. The organic cotton makes for an extremely comfortable and durable shirt that will stand the test of time. Even the packaging that Our Sacred Women uses to ship their items is sustainable and eco-friendly! They have spared to expense and taken no shortcuts when it comes to creating a fully ethical product and process. 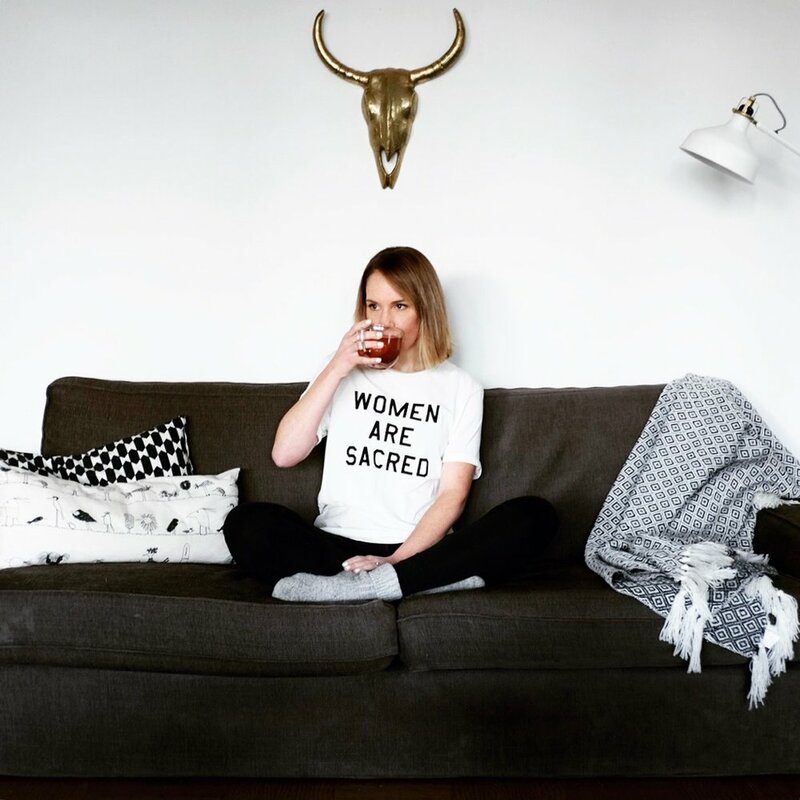 For every shirt that's purchased, Our Sacred Women donates 10% of the proceeds to The Breathe Network - a national 501(c)(3) organization leading the way in empowering survivors of sexual violence. If you're looking to wear something that supports the advanced opportunity of women, look no further than this brand. Our Sacred Women empowers people through their entire production process. Our Sacred Women empowers people through the proceeds of their sales. Our Sacred Women empowers people through the message of their product. In addition to this shirt, you can purchase inspirational prints, cards, and pins. These are a wonderful way to give a tangible boost of encouragement to a lady in your life. Just like the shirts, all of the other products are made with the utmost thoughtfulness. I so appreciate the message that Eileen chose to put on the shirts. It's not a message that belittles men. It's not a message of arrogance. It's calm and confident. It's powerful and peaceful.